Of course the father and son have it all wrong. Even those who never played baseball probably recognized that something just wasn't right. But what? 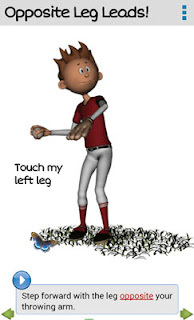 Years ago, before girls participated widely in sports, a boy watching the video might have remarked, “They throw like a girl!” That’s because many girls back then, and some boys, were never taught the most basic aspect of throwing a baseball--lead with the leg opposite the throwing arm. 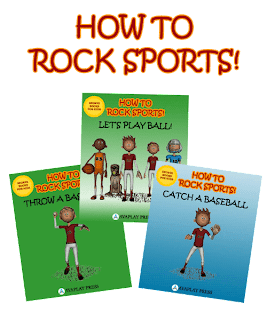 A goal of the How to Rock Sports app series is to teach young kids these important skill elements--the fundamental aspects of key sports skills like throwing, catching, and shooting. Learning these essential skills is the first step to playing and enjoying sports with friends and family. For kids just starting out, these apps provide an engaging, interactive look at how to perform these important skills. Animated characters walk the child through each step of a skill. Audio instruction and interactive props (flowers, butterflys, frogs) make the experience even more fun for the youngest beginners. These apps can also help parents more effectively instruct their child. They help remind a parent of which skill elements to teach and how they are performed. So if you haven’t yet taken a look, check out the free Let's Play Ball app on the Google Play store. And if you really want to find out how NOT to throw like the father and son in the VW commercial, consider downloading the companion How to Throw a Baseball app! 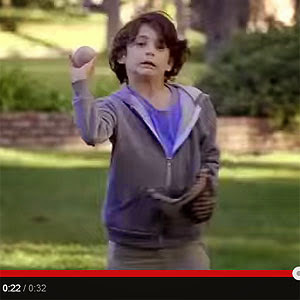 You'd be amazed at how many adults I know that can't throw properly! It's one of those fundamentals of so many sports (not just baseball) that knowing how to throw a ball (or even just knowing the idea of how to throw a ball) will come in handy sooner or later.